Reduce leakage when joining steel to steel or steel to ductile flanges within the UK water utilities sector, Novus Supra-WRAS approved gaskets offer higher flange to flange sealing integrity than the commonly used EPDM rubber gasket. Stronger flanges allow greater compression and inherently a tighter seal. To achieve this you need controlled installation. High tensile. (8.8) grade fasteners, lubricant and the correct methodology including torque are essential. Training is essential to ensure a strong, lasting seal is made. We want your pipeline to be safe for life. Let us show you how. 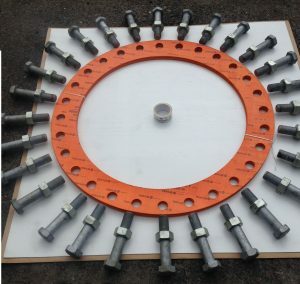 Last year we manufactured and supplied many thousands of gaskets to projects through out the U.K. One of the largest water pipeline projects was literally beside our factory at the M77 motorway, on the Southside of Glasgow. 27Km of pipeline was laid in multiple stages. This is exactly how the contractor sealed the steel to steel flange connections. If you want to know more about pipeline and flange integrity please get in touch. 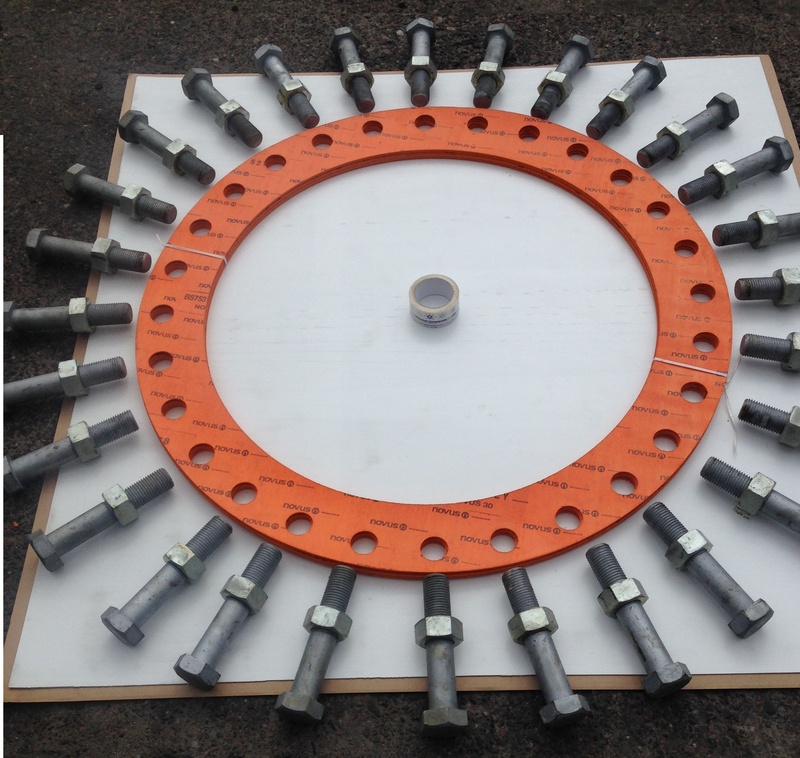 1000mm PN16 Novus Supra gasket complete with 8.8 grade bolts, nuts & washers. ← Need to seal and protect against corrosion?